Home » FAQ » Vinyl Windows or Fiberglass Windows? Shopping for replacement windows can be a bit overwhelming. We see this all the time. Customers who buy today but were in the market 3 or 4 years ago. What caused the delay? Most say they pushed the project off to research and try to find out what really suits their needs. Unfortunately, most companies send out a salesman who will tell you the product they offer is the best fit for you, no matter what the case. This leaves consumers feeling confused and overwhelmed. Lets check out the pros and cons of both fiberglass and vinyl windows so that you can make an informed decision. Vinyl windows do not require as much maintenance as they do not need to be painted. Even if scratched, virgin vinyl windows are the same color throughout. Vinyl windows are designed with multiple chambers filled with foam that helps to insulate the frame. Vinyl windows also have fusion welded frames so there is no possibility for air or water leaks around the frame and sash. Vinyl windows can be manufactured quickly and easily. Most can be custom manufactured and delivered within 2-3 weeks. They can be made in custom sizes to fit any opening exactly. Vinyl windows are the best option when it comes to energy savings at the most affordable price. Homeowners sometimes believe vinyl is a cheap product because of the reputation of builder grade vinyl windows, so they steer clear of the “cheap look”. Vinyl windows can expand and contract with temperature changes causing the seal between the vinyl framework and the glass to fail. Although most vinyl window companies offer a lifetime warranty on vinyl windows. Although vinyl windows come in multiple colors, once you have chosen the color of your window, it is not recommended to paint the vinyl if you want to change the color scheme. Fiberglass as a material has more strength than vinyl, some fiberglass windows can be up to 9 times stronger than vinyl windows. Fiberglass is composed of glass fibers and a composite sand material which are better able to expand and contract as the weather changes allowing it to maintain its integrity. Fiberglass is made from silica sand which is a natural resource. Making fiberglass is a more eco friendly option that vinyl. Fiberglass windows are not the maintenance free option. They will require painting after a few years. Fiberglass windows are painted. This means if the window is scratched or chipped during installation or due to Mother Nature, you will have to try to match the paint color to touch up. Fiberglass windows offer less insulation, in some cases 3 times less, than vinyl windows. Over the years, fiberglass can weaken at the corners and let in more air, water and dust. Fiberglass windows tend to cost 10-30% more than vinyl replacement replacement windows. Most fiberglass windows do not come with a lifetime warranty. In summary, when is comes to vinyl vs fiberglass you need to ask yourself these 3 questions. 1. Are you willing to pay 10- 30% more for replacement windows that are made of a stronger material? 2. Do you want a completely maintenance free replacement window? 3. Do you want replacement windows that come with a lifetime warranty? We hope this helps with choosing the right replacement window for your home. 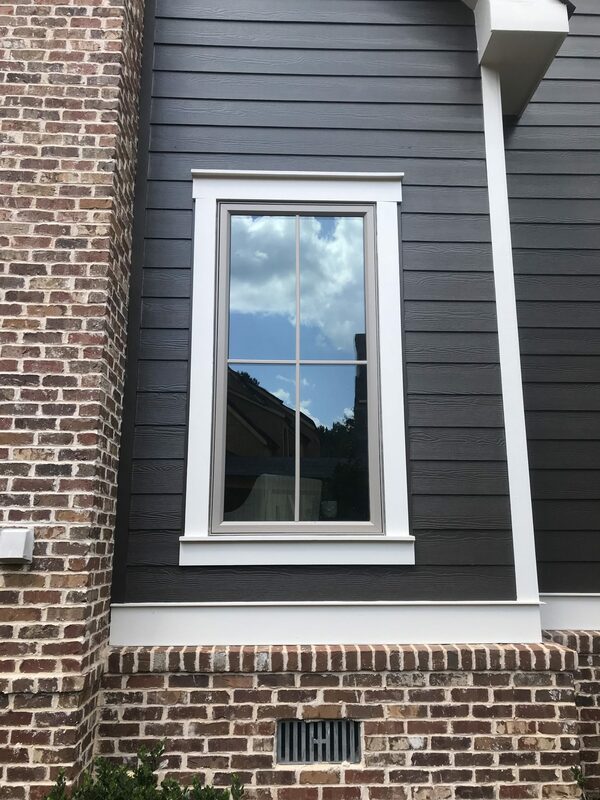 Whether it be vinyl replacement windows or fiberglass replacement windows, your on the right path to choosing a more efficient window for your home which can save you energy, time, and money in the long run. Good read. If I were to choose a fiberglass window, can you refer me to,a local company that offers fiberglass windows?